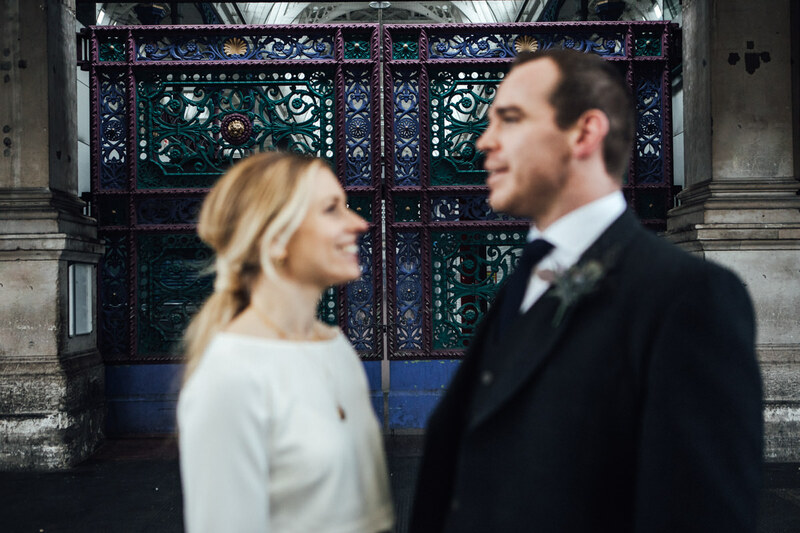 Clerkenwell wedding photography: Rachel and Chris, in addition to having the same names as us, have pretty great taste in just about everything. Their wedding was start-to-finish brilliant. Then we were whisked back out into the storm, and off to gallivant around Smithfield Market and St John in Clerkenwell to dance on the bakery bar (which isn’t technically allowed, by the way). There was a giant bear head, lots of tequila, some impressive limbo skills and and a great deal of lunging. PS: Keep an eye on our Instagram for some more Marylebone wedding photography, because we just shot Gina and James’ midwinter London nuptials while insanely jet lagged and it was so much fun.